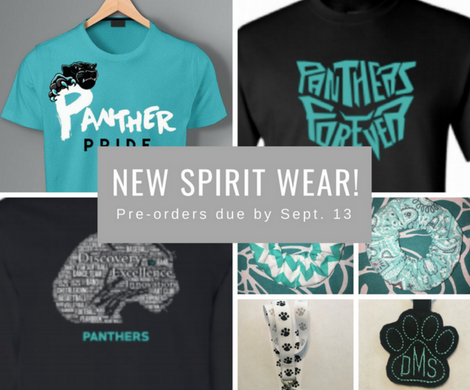 ​The new 2018 Spirit Wear is here! CLICK HERE to shop DMS shirts, keychains, car magnets, lanyards, and hair scrunchies! Preorders ended September 13 and was the only way to guarantee sizes. Limited size & selection available in October. Email discoverymiddlepta@gmail.com to check if we have the size you need in the design you like.